Our Kolping-Mensa has a good reputation not only among students. It is open from 11 am to 2 pm every day for those who appreciate a good lunch at attractive prices. The daily menu is posted on facebook and can also be receveid by e-mail. 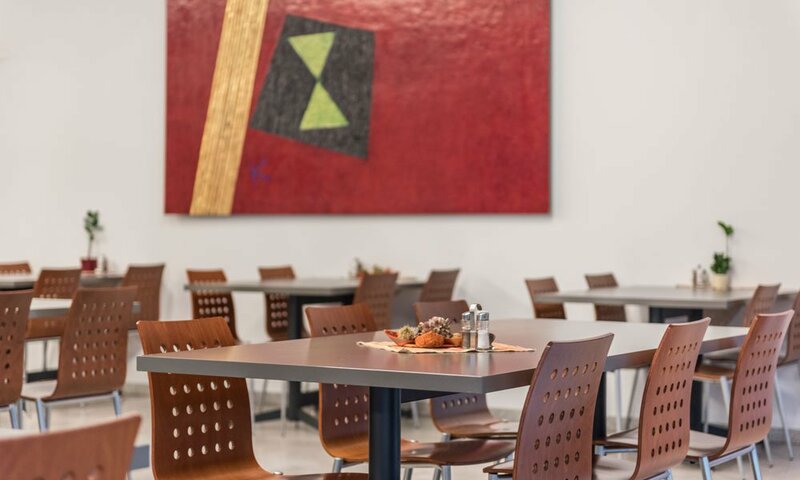 With its modern interior design, the warm atmosphere and generous room conditions, the canteen has also established itself as a worthy setting for weddings, corporate and family celebrations. Do you have an occasion to celebrate and look for a non-everyday celebration? 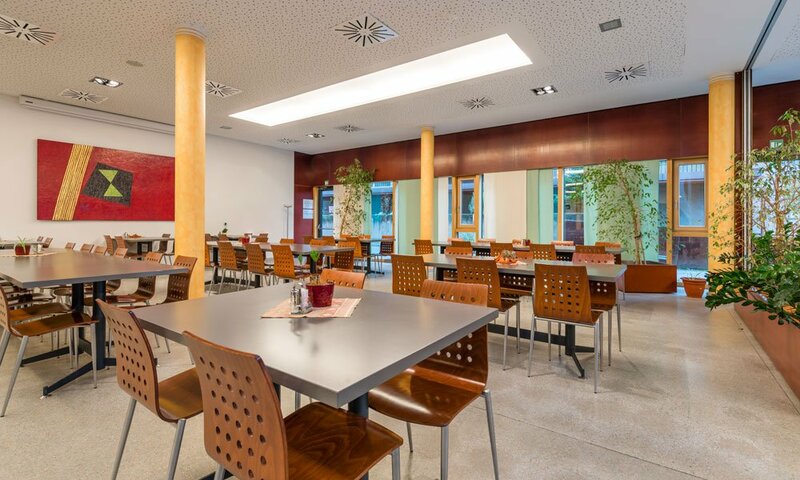 In the canteen parterre of the newly built Kolpinghaus you have up to 200 seats available. Behind the “old” Kolpinghaus there are several parking lots for vans as well as an underground car park for you and your guests. And our well-trained canteen team ensures that this day will be a memorable day.